In this VETgirl online veterinary continuing education blog, Dr. Pachtinger discusses the importance of decontamination of the poisoned veterinary patient. When should you induce emesis? Decontamination is a frequent therapy used in veterinary medicine for the poisoned patient. From toxins to tampons, from chocolate to condoms, from silica to socks...small animal patients eat silly things! Veterinary teams must rapidly recognize the ingestion as being problematic and create a decontamination plan. One of the first thoughts..."Should I make this patient vomit?" 3) The health state of the patient. Regarding the ingested substance: While every case is unique, typical contraindications for emesis include sharp objects (e.g., needles, etc. ), excessively large substances or products that could result in a foreign body obstruction, caustic substances (e.g., alkalis, acids, corrosive agents), or hydrocarbons (e.g., motor oil, kerosene, etc.). Regarding the time of ingestion: Specifically, a gel cap is rapidly dissolved and absorbed and requires emesis within < 30 minutes (otherwise it's already absorbed). Understanding the typical gastric transit time, emesis is most productive when performed within 1–3 hours post-ingestion. VETgirl will consider emesis following this period of time based on the amount ingested, toxic potential, and type of exposure...not to limit every case to 2-3 hours! Regarding the health of the patient: There are several indications where we do NOT induce vomiting. For example: pre-existing conditions (e.g., seizure disorders, megaesophagus, laryngeal paralysis, severe dyspnea), previous episodes of notable vomiting, showing clinical signs from the toxicant (e.g., symptomatic), cardiovascular disease, or a history of recent abdominal surgery would be reasons to avoid inducing emesis. 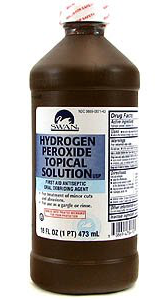 1) 3% hydrogen peroxide: This is a commonly considered emetic agent, especially if emesis is to be induced at home by the owner. H202 is typically dosed at 1 teaspoon/5 lbs body weight, not to exceed 3 tablespoons. As this is a direct irritant to the gastrointestinal tract, vomiting typically occurs within 10–15 minutes following administration. The dose can be repeated once if not successful after the first attempt. This should NOT be used in cats or used repeatedly in dogs as there is a risk of severe hemorrhagic gastritis which can be a challenge to treat in certain patients (and rarely fatal). 2) Apomorphine (apomorphine hydrochloride) is another commonly used emetic agent for our small animal patients, specifically dogs. VETgirl uses 0.03-0.04 mg/kg IV. In the past, conjunctival administration was used, but with the availability and reliability of the intravenous formulation, we now primarily use the intravenous route. While CNS depresses is possible following administration, this is uncommon to the point of clinical concern. The use of apomorphine in cats is not recommended. While "morphine mania" is a concern in cats, the more specific reason we do not use apomorphine in cats apomorphine works on dopamine receptors to induce vomiting. While the canine emetic center is regulated with dopamine receptors, the feline vomiting center is regulated through alpha receptors. As a result, cats will not typically vomit with apomorphine and many will become agitated. In other words, don't bother. 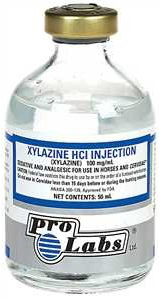 3) Xylazine: Xylazine is a centrally mediated alpha2-adrenergic agonist considered for emesis in cats. In our experience, it is not a very reliable emetic agent, as it only works about 30-45% of the time. More often it results in (profound) sedation. 4) Dexmedetomidine: In the author's experience, dexmedetomidine is more reliable as a centrally mediated alpha2-adrenergic agonist as compared to xylazine when inducing emesis in cats. In a recent study, the median dose of dexmedetomidine that caused emesis was 7 μg/kg IM or IV. Sedation was the only adverse effect, which can be reversed with Antisedan if needed. 5) Other compounds: salt, liquid dishwashing liquid, syrup of ipecac, etc. These are not recommended. Not only do they have questionable efficacy, but they have notable complications. Salt can result in a significant hypernatremia. Syrup of ipecac generally has a delay in onset and results in prolonged emesis which can result in severe dehydration and cardiovascular depression. Again, these are NOT typically recommended in veterinary medicine. When in doubt, contact the ASPCA Animal Poison Control Center for life-saving advice, 24/7 when needed!